A long time ago, the relationship between package design and sales was considered small, if it was considered at all. Packaging simply had to functionally hold the product and legibly describe its contents. Of course, the industry has come a long way since then! We now know that package design can have a very large impact on consumer choices and sales. As a result, marketing teams and package designers spend a lot of time working with focus groups and surveys in order to test out how different designs might perform. What are some of the ways that package design influences consumers? Before a potential buyer can make a decision about a product, they have to actually stop and look at it. There are different aspects to a package’s shelf presence. Novel or eye-catching design can grab the attention of shoppers who don’t already know your brand. For those that do know and desire your brand, strong brand imagery is important. It’s not enough to be noticed or recognized. The package also has to communicate the intangible values that the consumer is looking for. A food package that feels like a cleaning product’s package might stand out on the shelf, but might also drive some customers away. 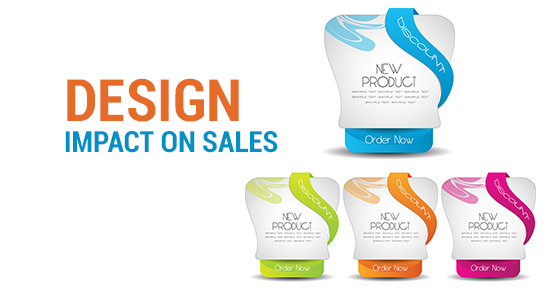 Good packaging design properly represents what its selling as to appeal to the customer looking for that product. What are the concrete characteristics that consumers are looking for? What are their expectations, and does your package design meet those expectations? This could be information about the details of the product itself, from calories to thread count. They might also have practical concerns about the packaging itself. Is it easy to transport? Is it easily recyclable? These are factors that should be considered before developing the product. Each of these levels of communication can play out differently depending on the type of consumer walking by. Your package should be able to maintain the attention of shoppers who already buy your brand. Novelty can be important to keep up with changing competitors, but you also don’t want to alienate your base. Package design should be inviting to customers who have no prior brand preference at all, or who have not bought your type of product before. Shoppers who already have a preference for a different brand might not become instant converts when they see your new package design. However, that does not mean that it is a wasted effort. If the design makes them notice your brand they may be more likely to try it later on, even if they do not pick it up this time. It is important to consider all of these scenarios when looking at the results of your research. For example, focus groups can give great qualitative data about the details of design, but they will not account for in-store behaviour such as the third scenario described above.